Who of the British went to India, and why? We know about Kipling and Forster, Orwell and Scott, but what of the youthful forestry official, the enterprising boxwallah, the fervid missionary? What motivated them to travel halfway around the globe, what lives did they lead when they got there, and what did they think about it all? Full of spirited, illuminating anecdotes drawn from long-forgotten memoirs, correspondence, and government documents, The British in India weaves a rich tapestry of the everyday experiences of the Britons who found themselves in “the jewel in the crown” of the British Empire. 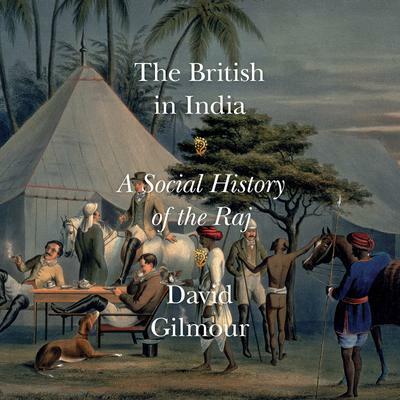 David Gilmour captures the substance and texture of their work, home, and social lives, and illustrates how these transformed across the several centuries of British presence and rule in the subcontinent, from the East India Company’s first trading station in 1615 to the twilight of the Raj and Partition and Independence in 1947. He takes us through remote hill stations, bustling coastal ports, opulent palaces, regimented cantonments, and dense jungles, revealing the country as seen through British eyes, and wittily reveling in all the particular concerns and contradictions that were a consequence of that limited perspective. The British in India is a breathtaking accomplishment, a vivid and balanced history written with brio, elegance, and erudition.